From the author of the New York Times bestseller All the Bright Places comes a heart-wrenching story about what it means to see someone -- and love someone -- for who they truly are. Everyone thinks they know Libby Strout, the girl once dubbed “America's Fattest Teen.” But no one's taken the time to look past her weight to get to know who she really is. Following her mom's death, she's been picking up the pieces in the privacy of her home, dealing with her heartbroken father and her own grief. Now, Libby's ready: for high school, for new friends, for love, and for EVERY POSSIBILITY LIFE HAS TO OFFER. In that moment, I know the part I want to play here at MVB High. I want to be the girl who can do anything. Until he meets Libby. When the two get tangled up in a cruel high school game -- which lands them in group counseling and community service -- Libby and Jack are both pissed, and then surprised. Because the more time they spend together, the less alone they feel. . . . Because sometimes when you meet someone, it changes the world, theirs and yours. 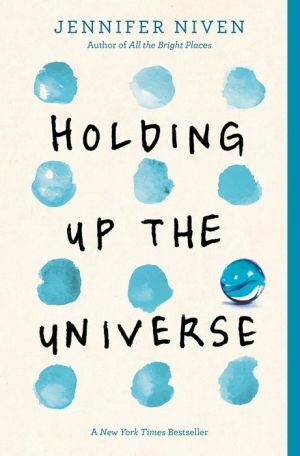 Jennifer Niven delivers another poignant, exhilarating love story about finding that person who sees you for who you are -- and seeing them right back.